Price is per spool of 50 feet. Enter the quantity as number of spools needed. 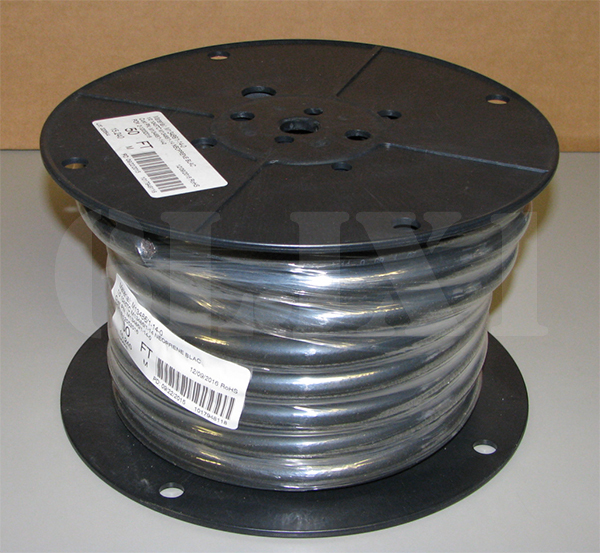 Prestolite black rubber insulated wire. P/N M13486/1-14. 0 AWG (also referred to as 1/0 AWG) stranded copper. Min temp -65°C. Max Temp 90°C. This is the standard wire used on all Military vehicles. Withstands extreme temperatures, is ozone resistant, and abrasion resistant. 0 AWG is commonly used for battery cables, starter motor cables, 200 amp alternator output, slave receptacle circuits, and jumper cables.